From Northern France. 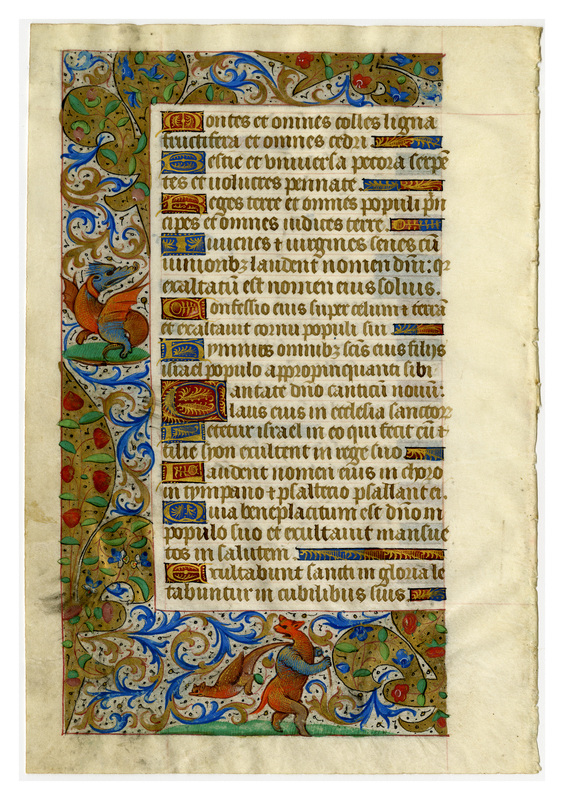 Illuminated leaf with elaborate border showing a banner, ivy, flowers in blue and red, as well as woodland creatures. 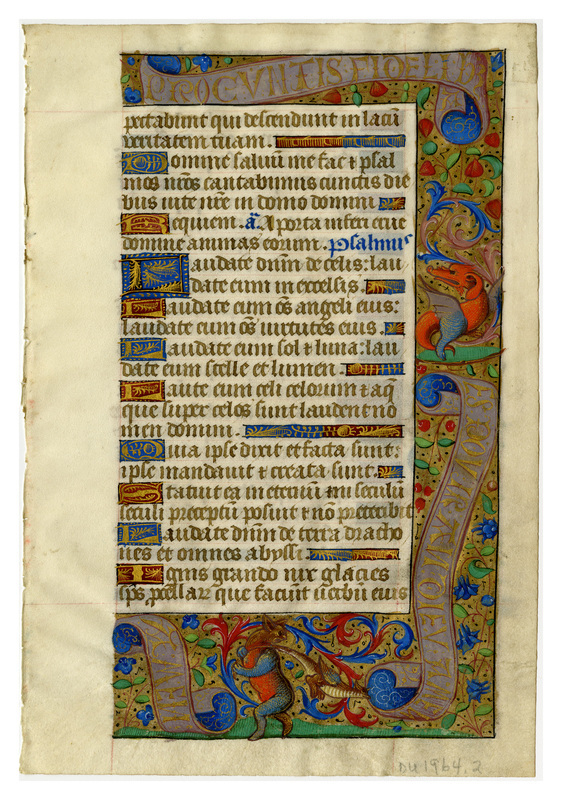 “Psalms from a Book of Hours,” Digital Exhibits | Denison University Archives & Special Collections, accessed April 23, 2019, http://exhibits.denisonarchives.org/items/show/74.